Ericsson Yendo is the first touchscreen walkman phone of the firm. After finding Xperia X10 Mini, Mini Pro and Xperia 8 interesting we were pretty much tempted to review Sony Ericsson Yendo Mobile Phone. At a first glance Sony Ericsson Yendo looks pretty much similar to Xperia X10 Mini thanks to the similarity in designs and user interface. 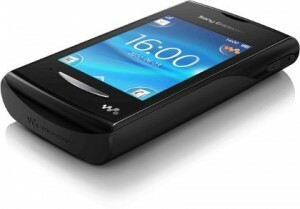 However, Sony Ericsson Yendo is a solid touchscreen phone which is made up of plastic. There phone feels solid on hands and the soft-touch matter covering the back of the phone gives it an elegant look. Sony Ericsson Yendo dimension measures 93.5 x 52 x 15.5 mm and the phone is quite light on your pocket weighing just 81 grams. The 2.6 capacitive touch-screen of the phone is capable of displaying 256K colors measuring 240×320 pixels. The quality of the display is relatively good if not spectacular and we felt that the resolution of the screen could have been made better. The micro-USB port is located on the left side of the phone and volume button is located on the upper right side of the device. The headset jack and the power lock key are on the top of the phone. Since the cost of Sony Ericsson Yendo features it in the budgetary segment, we were impressed with the overall design and looks of the phone. The phone is equipped with MediaGo application which allows you easily to share file between the phone and your PC. The phone has an in-built email client which allows you to easily access your inbox and send mails. The phone also comes with TrackID which tells you the name of the album and artist of a particular track. The phone is powered by a 156MHz Processor and is available in several colors such as Black, Blue, Green, Red, Silver and many more. We reviewed Sony Ericsson Yendo Black because we loved it over other colors. To know the full specs of the phone click here. The connectivity of the phone is not so robust as it supports only 2G network. There is no support for 3G and Wi-Fi. The phone however, supports GPRS [(Class 10 (4+1/3+2 slots), 32 – 48 kbps] and EDGE (Class 10, 236.8 kbps). Connectivity is enhanced by Bluetooth 2.1 with A2DP Profile. The phone comes with an FM radio which has a simple interface. The FM radio automatically scans the area and finds out the various radio stations available in the area. The video player of the phone has also simple interface and MP4 videos played are quite decent. The phone however is not capable of playing DivX/XviD or AVI files. There are some pre-installed games in the phone. One can also download other games in the phone. To download games, click here. The phone is equipped with a 2 mega-pixel camera which is capable of clicking pictures of resolution measuring 1600×1200 pixels. But the camera lacks advanced features and lack of flash makes it extremely difficult to click snaps in dim light. Sony Ericsson Yendo Video recording is also not that impressive and the phone allows you to record videos at the rate of 30fps. Sony Ericsson Yendo Price in USA is approximately $175. Sony Ericsson Yendo cost in India is around Rs 8000. The phone announced in June 2010 has been launched in October 2010. The phone is powered by a standard Li-Po 970 mAh battery which offers a talk time of around 3 hours and a standby time of approximately 300 hours. Sony Ericsson Yendo – the first touchscreen walkman phone is not a smartphone which uses the feature phone platform. If you are looking to carry out simple apps, then the phone is quite good. 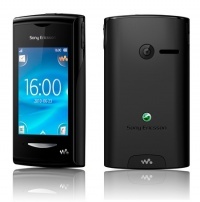 Sony Ericsson Yendo is one of most affordable touchscreen phone you can find in the market.